The Perform Tri Crop delivers the advanced cooling and ventilation technologies required to conquer the rigors of triathlon. The Italian SBR VENT fabric is designed to keep you as cool and aerodynamic as possible, paired perfectly with SENSOR MESH X zoned paneling for vital moisture management and air ow management. The Perform Tri Singlet delivers the advanced cooling and ventilation technologies required to conquer the rigors of triathlon. The Italian SBR VENT fabric delivers extreme cooling properties while being exceptionally aerodynamic, paired perfectly with SENSOR MESH X zoned paneling for vital moisture management and air flow management. The Core Tri Tank will make you want to swim, bike and run even faster with great coverage. The women's LTD Tri Tank provides essential support, protection and comfort without sacrificing style. Full front and back coverage, as well as a dropped back hem make this a great tank for the women looking for more coverage from the sun. This Kona inspired Tri Tank tops the charts when it comes to comfort and performance. The new Tri LTD Racerback will make you want to swim, bike and run even faster! Enjoy full range of motion in this racerback style tank and side-stash pockets for your nutrition storage needs. Fits to flatter, the women's Tri Crossback Bra is a functional bra for triathlon. Wear it under your favorite tri kit or on its own, this bra has been constructed to perform during your toughest workouts and races. Support, sun protection and comfort without sacrificing style, the new women's Performance Tri Crossback tank is on point. Premium Performance Endura fabric will keep you dry, comfortable and well supported. The sleek racerback style of the Zoot Performance Tri Racerback allows you to have full range of motion for your best performance in the swim, bike and run. Side-stash pockets provide the perfect location for stowing your nutrition. Race day comfort combined with support and sun protection make this triathlon BYOB racer back tank a true winner. The CARBON fabric reduces heat build-up to regulate body temperature while also keeping you dry and cool. Swim, bike and run, the Tri Cali Racerback was built to perform. Enjoy full range of motion in this racerback style tank and side-stash pockets for the perfect nutrition storage. Sublimated Italian fabric helps you stay dry and comfortable while providing enhanced breathability. When fashion and function are a must, the Performance Tri Cami Bra delivers. Performance Endura fabric provides next-to-skin comfort while keeping you dry and comfortable. Enjoy additional breathability and support with the Power Mesh lining. Enjoy the minimalist fit with maximum fashion. Racing and training alike, you'll enjoy the breathability of the women's Active Tri Mesh Tank. Athletes looking for maximum ventilation and a looser fit will appreciate this tank. Your bra choice is yours with the women's Performance Tri BYOB Tank. Take advantage of additional sun coverage with full front and back coverage. Essential support, sun protection and comfort without sacrificing style, the new women's Performance Tri Tank is on point. Front and back coverage, as well as a dropped back hem make this a great tank for the women looking for more coverage from the sun. Enjoy full range of motion with the Women's Performance Tri Racerback and side-stash pockets for the perfect nutrition storage. Performance Endura and Power Mesh fabrics help you stay dry and comfortable while providing enhanced breathability. With its front zipper for an easy pull-on, this advanced Tri singlet delivers compression, support, and comfort. Be a part of the Zoot Tribe with the Zoot women's Performance Triathlon Team Racerback. 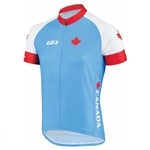 Constructed with sublimated Italian fabric to ensure the very best in moisture management, comfort and durability. Zoot's most popular women's ULTRA race day tri tank provides UPF 50+ sun protection protects you from the sun's harmful rays. The built-in bra provides Dynamic X postural support. The Ultra Tri Tank is a perfect addition to the Zoot Ultra Tri Shorts.